Do you like to try different types of wine but don't know how to choose from the many options available? Then you've got to try Winc! When you sign up, you will receive 4 personalized wines each month with prices starting at just $13 a bottle! What do I mean by "personalized"? Take their fun and easy six-question Palate Profile quiz, which helps Winc discover what wines you might like best. After you taste your wines, you can rate them so that Winc will continue to send you wine selections that are even better tailored to your palate. I was given the opportunity to try this unique wine-selection process, and it was so much fun! The wines I received were all different but equally delicious (one is pictured at right), and I would definitely order them again or serve them to guests! 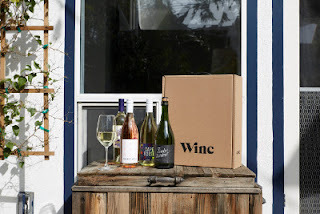 Winc is a direct-distribution global wine company that personalizes the entire wine experience. They're on a quest to improve the wine-buying experience for consumers, create a platform for artisanal winemaking, and build a grape-to-glass supply chain that's sustainable for the planet. No more intimidating language and steep price points, and more joy in the act of sharing a bottle. I recommend that you give them a try! Keep reading to find out how you can receive a discount on your first order! Bottles start at $13 each. Disclosure: I received complimentary product samples to facilitate my honest review.